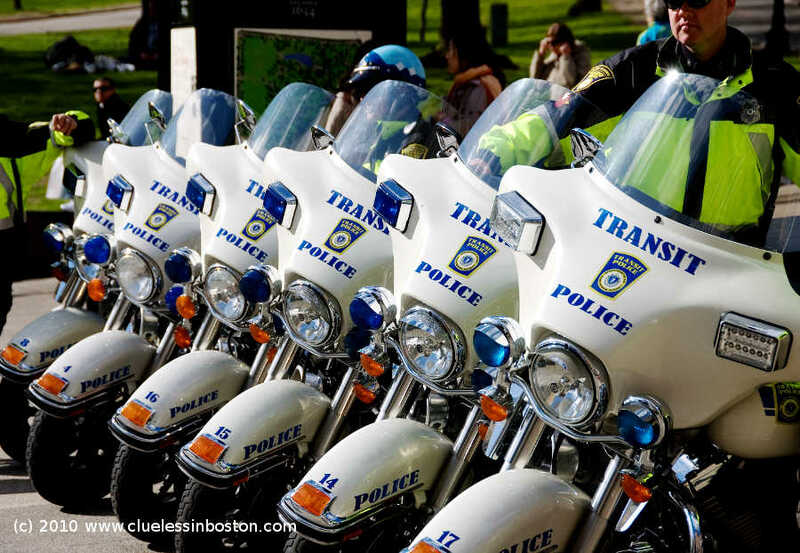 Transit police motorcycles lined up at Park and Tremont Streets the day of the Boston Marathon. I forgot all about the Marathon. It must not have gotten much pub down here. 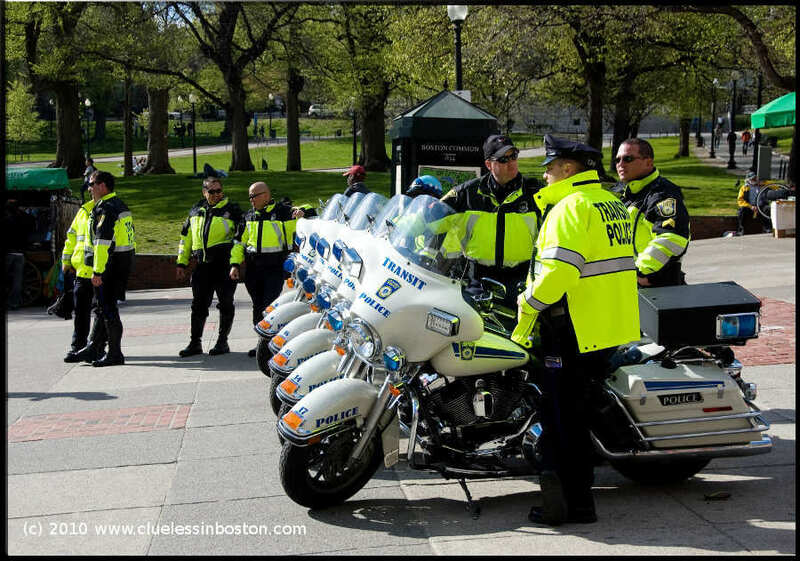 I wonder if those police officers will race on their bikes? They really look like all those US cops we saw on movies! very impressive, both the machines and the people! Nice to see someone else remembers that movie. Thanks all for your comments. Wayne, I'm glad someone caught on to the movie allusion of the title. I spoke to the Sgt. there and he hadn't heard of it. Nice!! 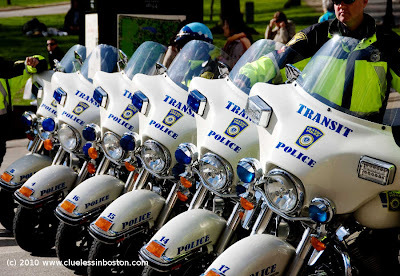 I always get into trouble when I try to take pictures of police officers - did you ask first or not? This Marathon is famous around the world!Beautiful symmetry with the motorcycles. In a Row photography. I like it.